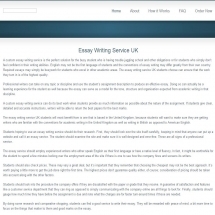 It is hard to say anything conclusive about EssayWritingExperts because, unfortunately, at the present moment there is no such service – there is only a half-finished website that either was never in the working order or undergoes a reconstruction. Either way, a potential client has no possibility to contact the service’s owners, no possibility to place an order, no possibility even to check the prices in case the agency will start functioning at some point in the future – which means that for all practical purposes, EssayWritingExperts does not exist. TutorsPoint.com is rather baffling in the sense that it seems incapable of deciding what it is going to be: an online academic writing service or an agency working in distance learning. 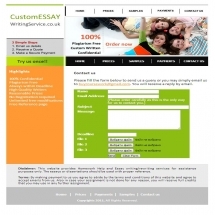 In fact, its website looks and feels as if content from two completely different websites got mixed together: here it speaks about placing an order on essays and dissertations, there it discusses the benefits of distance learning and the difference in prices between TutorsPoint.com and its competitors; here it places samples of its work, there it shows testimonials from people who clearly had their assignments written by them. We, however, weren’t able to get in touch with the service per se. The service doesn’t work. Probably they are passing through a preparation stage and simply write filler text in the blog for their site to start appearing in search engines’ results. Probably they are passing through redesign and stopped working temporarily to resume operations later on. Nevertheless, even if they start functioning eventually I wouldn’t be very optimistic about the quality of their services. The company that claims on its main page that it employs a team of highly skilled Native American writers can hardly be expected to have anything to do with either America or writing. Or English language, for that matter. This company lures customers by affordable prices and supposedly simplified order procedure, but it turns out to cause you no end of inconvenience and bother. With poor quality into the bargain, their ‘help’ might draw down a bunch of new academic problems on you. Better not cheap out and find another writing service. Pay a bit more for the sake of peace of mind and a good grade – after all, what else seek academic assistance for? The cooperation with the CollegeHomeworkHelp service left not a bad aftertaste. The paper was provided on time. Still, the service needs to be fixed and updated. Some sections like “Price Calculation”, “Testimonials” and “Live Chat” should be added. 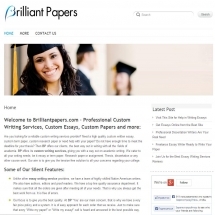 TheCustomTermpaper is a spectacularly weird phenomenon in the field of custom writing services. It has way more usability drawbacks than advantages of any kind, and the quality of the finished paper leaves much to be desired. So instead of lifting your academic burden this service may well bring more problems upon you – to the point of academic disgrace. TheStatisticsHomeworkHelp is in no way a writing service proper, but a seedy page with no useful information at all, in which aspect it utterly fails even as merely advertising means. Numerous ‘specialized’ links provided there lead to clone sites that represent some obscure, inconvenient and virtually unreachable writing service you can contact via e-mail only, with no real-time support available. It is inconceivable how such company can still be in business. I wouldn’t recommend it to you even if you are desperate to get your work done: a number of other services can be found on the net – services that care about their own good name and their customer’ academic reputation.